I own and wear far too many stripes. Then again, is it even possible to have too many stripes? I think not. 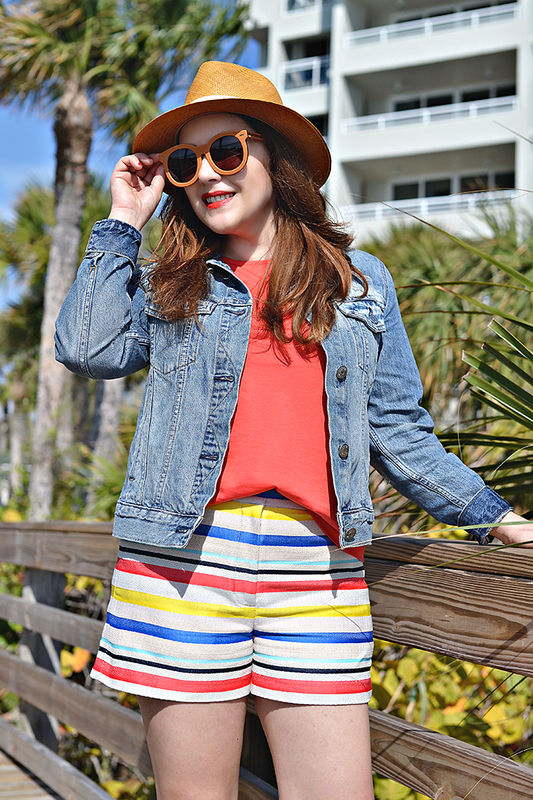 I scooped up these colorful striped shorts a couple weeks ago (and now they are on sale!). I knew spring would not last long here in Florida and summer was coming. While I love shorts, they are basically formal wear down here lol, I have to restrict how many I allow myself to buy. 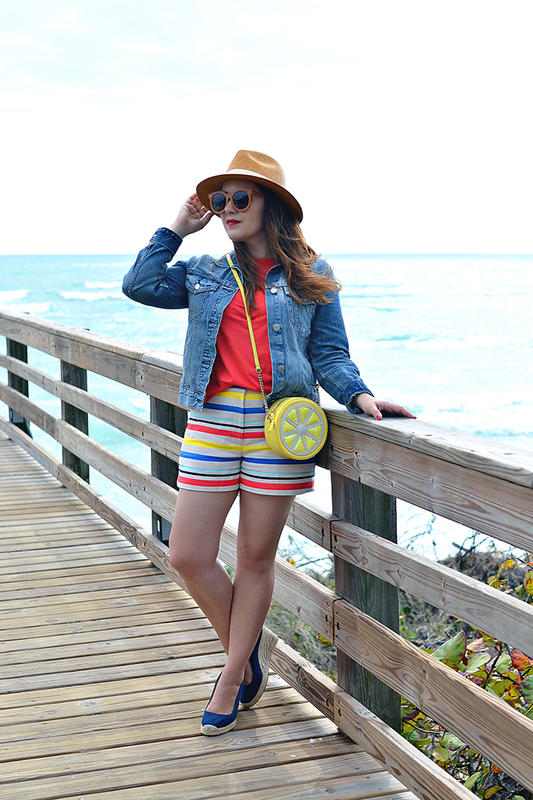 Because shorts just aren't super useful for my summer travels. In general, Italians/Europeans wear fewer shorts, and so many religious sites have dress codes that forbid shorts (for both men and women FYI). 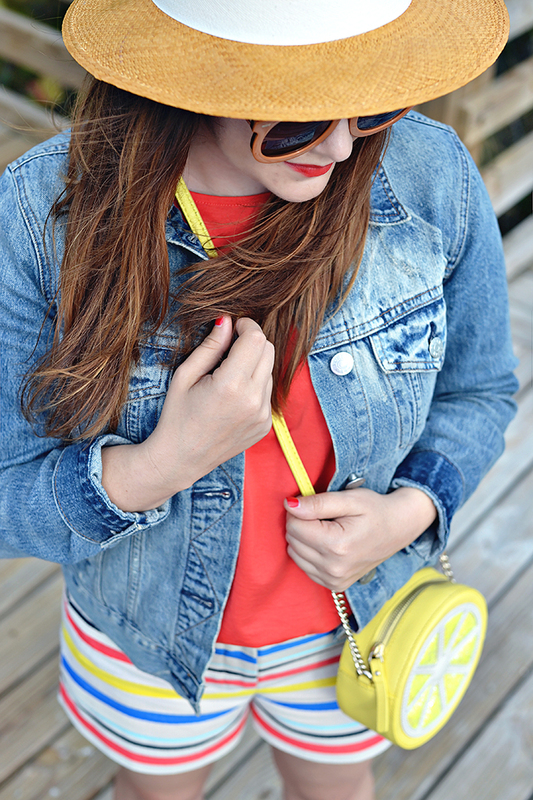 So while there are a ton of cute shorts that I am currently lusting over, like these, I will have to content myself with these pretty stripes... for now. 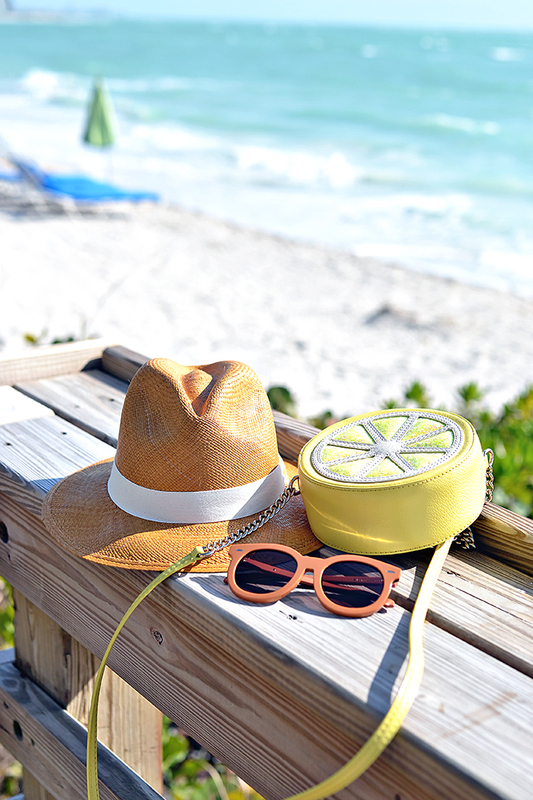 I also added this gorgeous panama hat to my growing hat lady collection. I love the crisp white detail against the rich, golden straw. 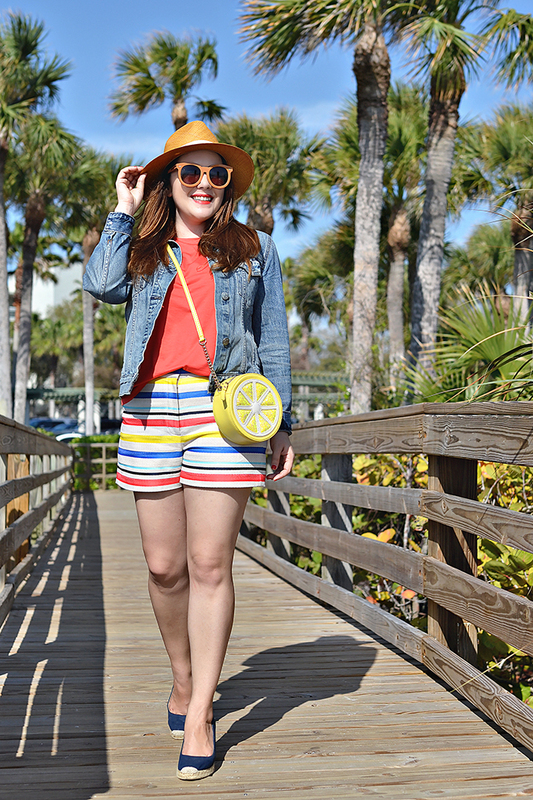 Finally, I completed this bright and cheery look with my favorite lemon crossbody. Oh and PS, congrats to Jessica who won the Dagne Dover giveaway!